Sometimes when I talked to my mom I feel like she tried to take these potshots at me. My mom had a tendency to make these passive aggressive comments about my life, like you know you’ll never find a man or have children. What I don’t get is my mom has a lot of grandchildren that he doesn’t even bother with. She says all the time if have to do all over again she would never get married or have kids. If kids made your life so miserable, why would you want that for me? I admit I haven’t achieve great success with my books, but at least I have tried to make a go of my life. Okay, I’ve been crushing on this guy on and off for a while now. Some times I think he liked me because he makes these random comments about how he is single. I feel like he purposely started an argument for no reason at all. I’m the last person that thinks a guy will be interested in me at all; maybe this is all in my head. If it is than I look like a complete jackass. Do I love you because I truly love you, or do I love you because I can’t have you? My head is spinning with all of the possibilities. I know I truly care for you, however I don’t know how to get you to understand that. Sometimes I actually think I could be good for you, and other time I think loving me might destroy you and me. You’re the one thing that makes me regret being in this wheelchair, but if it wasn’t for the wheelchair we would have never met. I did some more work on the second vampire quest. The story is coming along nicely. I’m hoping to make it a three part series. There will be one more book after this one. I think Alexandria is starting to see that Deimos may have done the wrong thing by turning her into a vampire, but he did with the best of intentions. What Deimos did to Alexandria he did out of love and protection. I absolutely love these two books. The end of 11 was absolutely heart-wrenching. To my knowledge the 12th book is not out yet, but I will be sure to let you know when I finish that book. The blood and snow series is made up of short stories that are great for light reading. When my life is stressful, a quick an easy is just the cure. I think I got to a good start writing Vampire Quest (the quest continues). I’m really grateful for such a enthusiastic start. 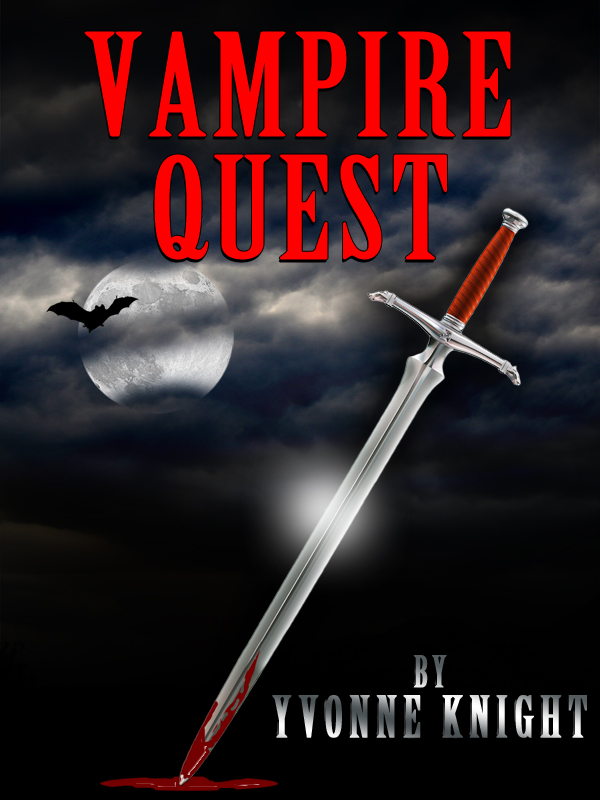 I hope you guys check out the first vampire quest, available in the Kindle bookstore on Amazon.